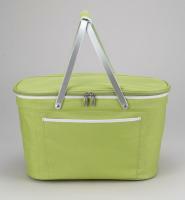 Bring style to the beach with the Peterboro Classic Beach Tote. This tote has the look and feel of a classic handwoven picnic basket with the addition of long 8oz genuine leather handles to add modernity and functionality. 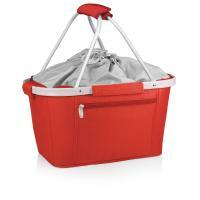 With a large storage capacity, the tote is perfect for transporting accessories like beach towels, books, and other items you might want at the beach. 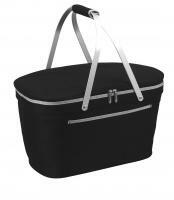 It can even fit a full-size paper shopping bag and, thanks to the leather handles, the tote won't cut into your hands if it's heavy. Whether you're taking a stroll to the beach or you're shopping at the local farmer's market, this chic tote is a great way to carry everything you need. 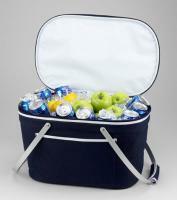 • The basket includes the Peterboro brass medallion and limited lifetime warranty. • Handcrafted in the USA from 100% USA-made materials. 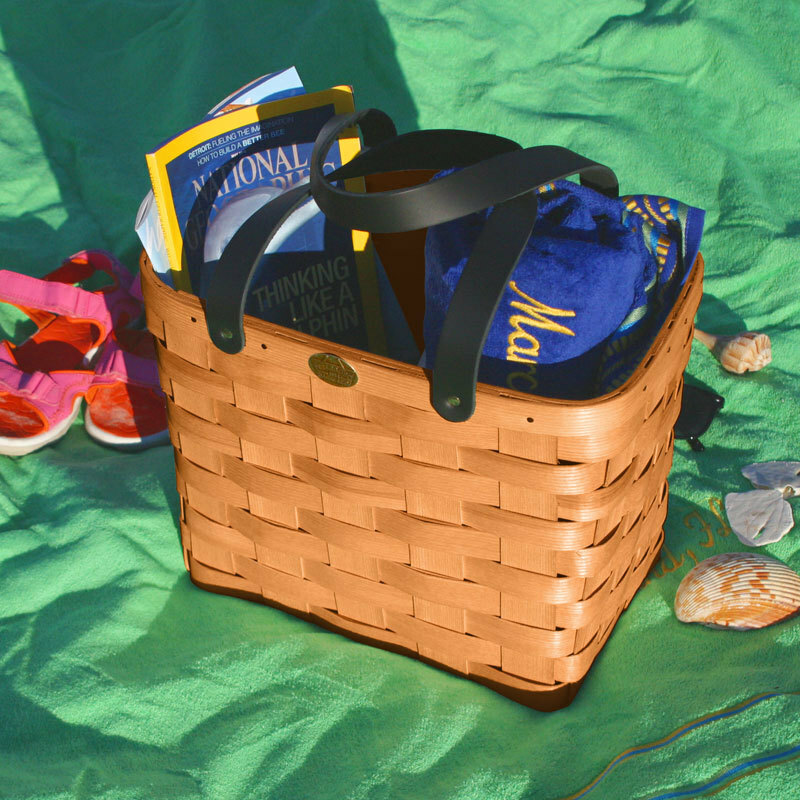 • Peterboro is the only manufacturer of this "one-of-a-kind" basket design.